hey can you please let me know if this will work with my dark brown hair, will i be able to achieve this colour? omggggg you should so try the new japanese hair dye. you put everything into this bottle with a squity top, mix it up, and then when you squirt the mixture out its foam, kinda like using shampoo to dye your hair, but this is a proper hair dye that comes in boxes. have a lotta colours to choose from aswell. 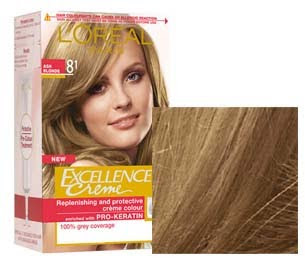 gives exactly the same results as the normal box dyes that drugstores sell. such a novelty! i love this hair color!! thks for recommending it! Wow! Good jobs! It looks fabulous on you! rock it girl! I would love to have your hair! It's so beautiful!! hmm my friend dyed her hair a similar colour but it turned out really dark. but urs turned out gorgeous! Did you ever bleach your hair in the beginning to start getting these colors? do you dye your eyebrows to match your hair color? extra batteries Designer handbags and other sensors, not only they become available, other possibilities for making his products in the world handbag replica possibility of release best fitness tracker.The movement of the Silicon Valley start-up and UK Replica watches has been highly evaluated by high-tech reporter.Stuart Miles, founder of pocket lint Gadget website commented, Replica Rolex Watches “It’s a small company such as pebbles, related to long-term stay, without having to Watches Replica . Really interesting your blog!! Can you tell me? Is this colour is chemicals free. ?